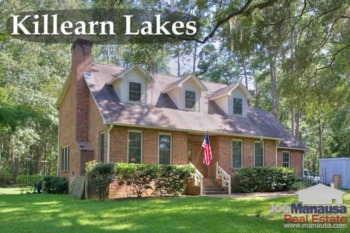 Killearn Lakes Plantation is the most active community in the Tallahassee real estate market. Located in Northeast Tallahassee within the 32312 zip code, this popular neighborhood has much to offer today's homebuyers. The community motto is “You’ll Love Your Neighbors!,” which is a fun way of saying that there often is green space and wildlife existing where many other communities would have you peering at your neighbors. The walking trails, parks, and lakes create an active, engaging community. Additionally, it is not uncommon to see fox, bald eagles, deer and turkey roaming throughout the conservation easements. 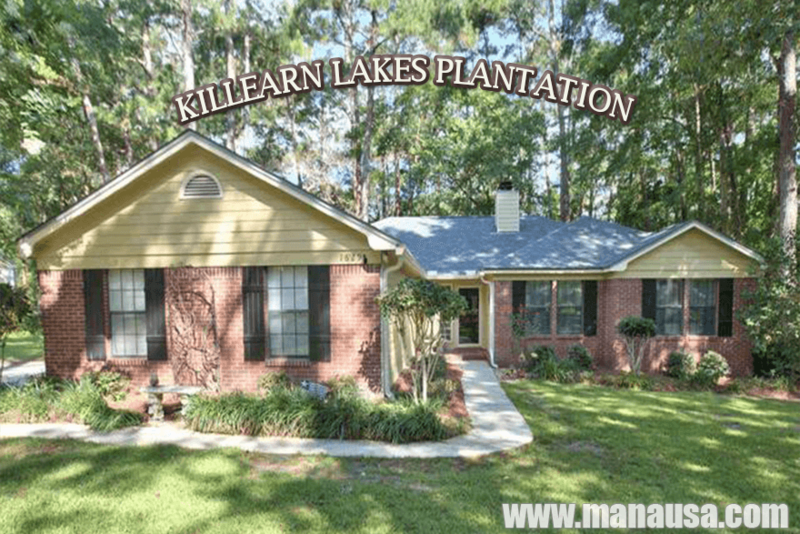 A great reason to look at homes for sale in KLP is the fact that many are within walking distance to the Leon County schools that serve the area (Killearn Lakes Elementary School, Deerlake Middle School, and Chiles High School), which all score very well. 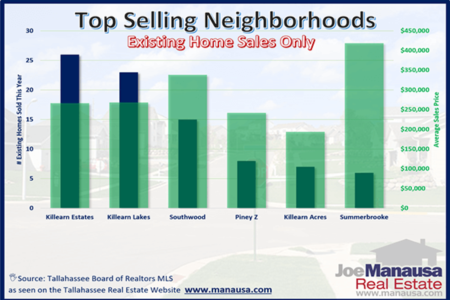 To provide a clear picture for home sales activity occurring in KLP, our report includes graphs of home prices, home values, and home sizes, as well as current listings in the Tallahassee MLS and all closed home sales going back to 1991. It is important to note that the narrative contained below is for sales through December for all previous years, and through the third week of July in 2016. The graphs and the closed sales table will be continuously updated into the future (meaning bookmark this page if you always want to know the current status of homes in Killearn Lakes Plantation). Killearn Lakes Plantation home prices have soared higher in 2016, with average prices higher than any other year going back to 2008. The average home price now is $279,700, meaning current buyers are spending only 4.6% less than they were in 2006. Expect strong sales to continue as both buyers and equity return to KLP. Through the writing of this report, there have been 143 closed home sales in Killearn Lakes Plantation in 2016. Average home values in Killearn Lakes have risen nearly 10% so far in 2016. Currently, home values are only 13% below values recorded at the peak in 2006. This means homeowners are gaining in equity and fewer of them remain trapped with more mortgage than equity (which means they are more likely to move). The average value of a home sold in Killearn Lakes Plantation thus far in 2016 has been $125 per square foot. The average home size sold in Killearn Lakes Plantation typically falls in a range of 1,800 to 2,100 square feet, but larger homes have been purchased in 2016. The 143 homes sold in 2016 have averaged 2,178 square feet. The following list includes more than 6,600 home sales in Killearn Lakes Plantation going back to 1991. You can change the sort order by clicking any one of the titles in the header. I hope you enjoyed our July 2016 update on home sales in Killearn Lakes Plantation, please feel free to drop me a note if you have questions not covered in this report.